Carrie Underwood has had a pretty eventful year. 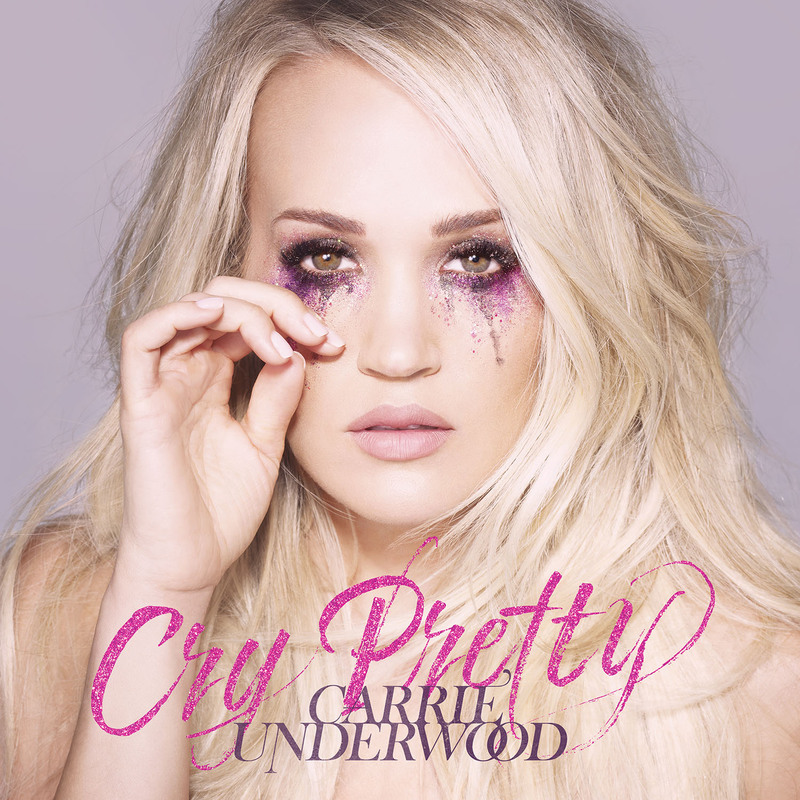 After a freak accident where she smashed up her face and spent a bit of time out of the limelight, she’s back with album number six, ‘Cry Pretty’. Carrie has always had crossover appeal thanks to her win on ‘American Idol’ back in 2005, but this album is her most adult contemporary pop yet. Her successful Keith Urban-led duet last year (‘The Fighter’) feels like it’s inspired the album. It’s a good fit too, because she has that kind of voice that adds authenticity to whatever she sings and a broader appeal isn’t a bad thing. Overall the songs are mostly up her mid-tempo alley with that country flair. She’s included some very country numbers for good measure as well, but she carries (see what I did there?) it all fabulously. The songs are polished yet honest and her voice is as strong as ever. The first four songs of the album are the pick of the bunch for me. Title track ‘Cry Pretty’ features strong lyrics and a memorable melody. Both ‘Ghosts On The Stereo’ and ‘Low’ are moody numbers which for me add a level of maturity and growth over previous records. ‘Backsliding’ (a term from Christianity about falling back to sin) is one of my favourite songs. While it has a strong religious undertone, it has an authentic story that brings it to life and a melody that gets stuck in your head. The rest of the songs are decent enough but for me, don’t feel as modern as they could be for 2018. Technically they are well written and arranged but the word “safe” comes to mind; I’d like to see Carrie return to the grittiness of some of her earlier tunes to inject a bit more life into them. If I’m honest, I’m surprised that a talent show winner from 2005 has managed to carve out a successful career and finds herself on her sixth studio album. Arguably one of the most successful winners from any reality tv singing contest, Carrie Underwood continues to build her back catalogue with strong songs and share her storytelling abilities with fans across the globe. I always look forward to her new music. MUST LISTEN : Cry Pretty, Backsliding, Love Wins.